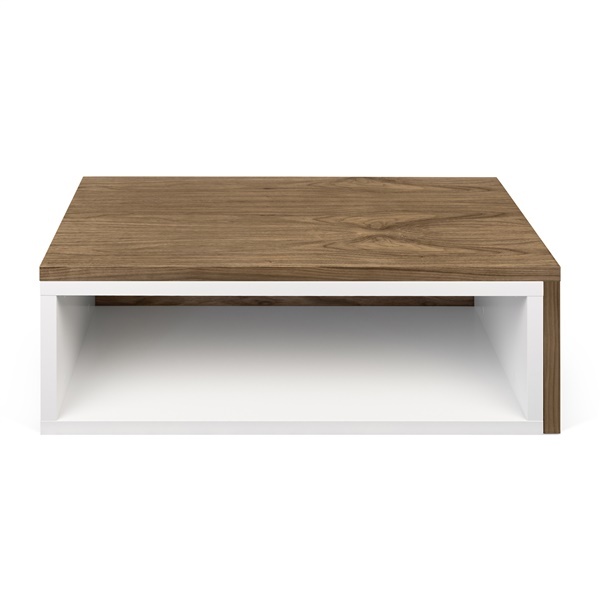 Designed by Ricardo Marçal, the Jazz Coffee Table boasts two pieces to create an expandable structure that opens and closes according to the user's needs and preference. It's beautifully crafted of honeycomb inlay framed with chipboard and encased in a medium-density fiberboard shell, reducing weight but increasing durability and strength. A plus for any space, the eye-catching shape and contrasting colors make the Jazz table an excellent accent to any modern living room.